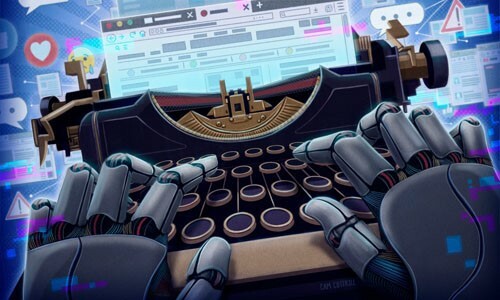 News outlets are using artificial intelligence (AI), claiming the technology will not replace human journalists but rather supplement their jobs so they can devote more time to substantive stories. the company's Cyborg AI can help reporters in generating articles on corporate earnings reports each quarter. Meanwhile, AI journalists are producing sports articles for the Associated Press (AP) and The Washington Post, as well as stories on earthquakes for the Los Angeles Times. The Post uses an in-house robot reporter called Heliograf, which ably covered the Summer Olympics and the elections in 2016. The Post's Jeremy Gilbert said the publication also uses AI to geo-target articles to local readerships, while The Post, AP, and Bloomberg have installed internal alerts to flag anomalous data, so journalists can follow up with bigger stories.